I was brought up in a middle-class Garhwali family in Baroda, Gujarat. I did what every Indian kid born in the 70s did. I went to school, played cricket, read books, and watched TV. And, as was expected of all kids, I studied hard, got good grades. I qualified as an electrical engineer, completed my MBA, and soon joined the world of banking. The next 10 years went by in a flash. It was all about doing my best every day—meeting targets, working harder, and spending more and more time in the office. I was in the rat race; winning awards and getting top ratings became my only goal. All of this meant odd working hours, odd eating hours, and odd sleeping hours. I had completely neglected my health, piled on the pounds, and was quite unfit. It was a Saturday afternoon, in mid-2009, and as usual I was in a meeting when I got a call from home. My elder brother had suffered a heart attack. Fortunately, after an angioplasty, and a lot of rest and care, he got better. But I was shaken up. With a family history of heart disease, I knew it was only a matter of time till something happened to me. I started to make small lifestyle changes: having a wholesome breakfast, eating healthier, working regular hours, and occasionally exercising. I lost a few kilos, and was feeling better and relaxed. I always enjoyed going to the mountains for holidays. So, the next holiday, I did a short trek from Gangotri to Gaumukh in the Garhwal Himalayas. It was awesome and totally de-stressing. I was hooked. Even before the trek ended, I had already started planning my next one. Every few months, I started taking short breaks for a quick high-altitude trek. And every time, I’d come back refreshed and recharged. 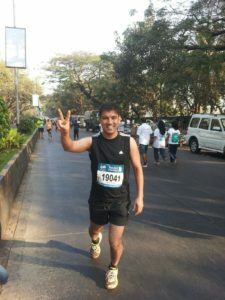 The next big shift came when I signed up for the Standard Chartered Mumbai Half-Marathon in 2012. When I registered for the event, I had five months to go. The first day, though I started with much enthusiasm, I was huffing and puffing by the time I reached the two kilometre mark. I lost my motivation until a friend came and helped me out. He made me download the Runkeeper app, and got me to sign up for their training program. He told me to run slower than my normal speed. Build distance not speed, he said. In January, 2012, I ran my first half-marathon. And when I crossed the finish line at the Chhatrapati Shivaji Terminus, the sense of achievement was incredible. I threw up my hands in victory—over my own will and physical self. Multiple treks, half-marathons, and marathons followed. I was feeling fitter and better. I had lost some 15kg. My work required me to travel a lot. So, I would pack my running gear and make time every morning to run or hit the gym. I realised that earlier a lack of time was my biggest excuse. But now making time for myself was not so challenging. I had just started to prioritise health and everything else fell in place. My performance at work had improved. I was making better decisions; I was driving better team dynamics and a happier environment. If only I had realised this 10 years earlier. But, as they say, better late than never. In May 2014, I trekked to the Everest Base Camp. From the base camp, I could see the summit. Standing there, I decided that I had to come back—the next time to go higher. What can be more extraordinary than climbing the highest mountain on earth! 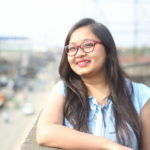 I came back to Mumbai and the thought refused to leave my mind. Trekking is not mountaineering and I did not know if I was even capable of it. So, in October, 2015, I enrolled for a 25-day basic mountaineering course at the Atal Behari Vajpayee Institute of Mountaineering and Allied Sports in Manali. I was one of the few 40-year-olds to attempt a course like this and succeed. With all my leave exhausted for 2015, I started training on weekends and holidays. I started to save up leave again to enrol for the next level training, and signed up for the advance mountaineering course batch of June 2016. 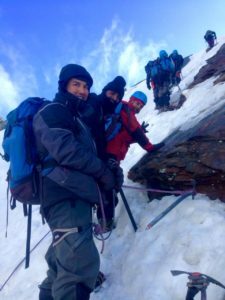 The final challenge of the advance course was to climb to the summit of Friendship Peak in Himachal Pradesh. The climb started at 2am and we plodded through heavy snow and ice. The climb was gruelling, but the hard work paid off when I stood on top of the peak. It was an incredible moment. I could see far and wide. And when I looked down, I was amazed at myself. I couldn’t believe that I had come this far. 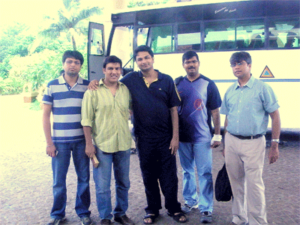 When I got back to Mumbai after finishing the course, I knew I now had the skills and techniques. Now, I needed to focus on physical preparation. As part of my physical preparation for my Everest mission, I attempted a rare double. In September 2016, I speed-climbed Stok Kangri, a 20,000-plus foot peak in Ladakh, and followed it up by comfortably completing the Leh Half Marathon within a couple of days of the climb. I felt ready to take on Everest in 2017. I didn’t want to climb this peak alone and only for myself. During my numerous treks in the hills, I had seen children walking long distances, without adequate clothing and shoes. I wanted to reach out and help these children. Along with GOONJ, a Delhi-based non-profit, I’m looking to collect outgrown shoes from privileged kids and distribute them to the kids in rural India. Our aim is to collect 29,035 pairs of shoes—a pair for every foot I climb. All this while, I’ve been wearing multiple hats. As a banker and a professional, I’ll continue to work till the day I leave for my expedition. As an Everest aspirant, I’m spending hours everyday in training. And I’m trying to spend as much time as possible with my family and friends. Now, as I organise my equipment, pour over my packing lists, and double check my dietary supplements, I’m amazed by what I have already experienced and achieved. 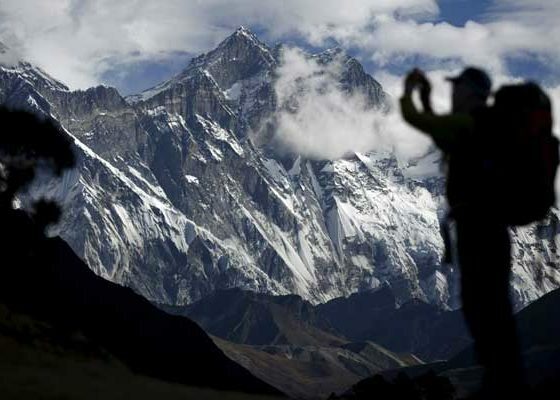 On April 03, I will head to Nepal to complete a journey I began eight years ago. A journey from behind a laptop to the top of the world.